New! 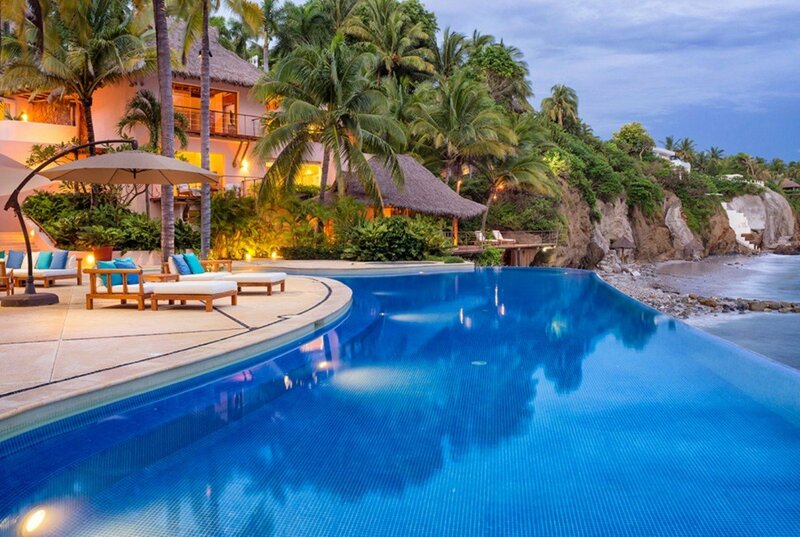 Estate Alamo, El Farallon - Pontoquito, Punta Mita. 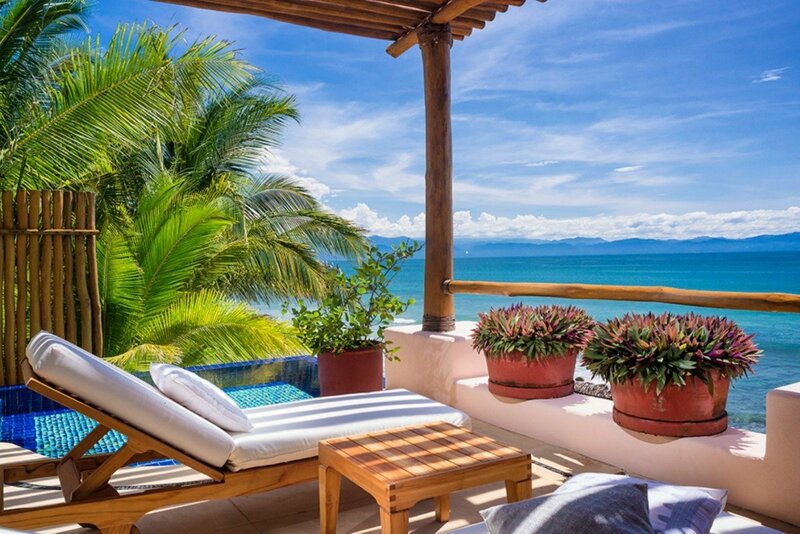 Estate Alamo, Located in an exclusive gated residential community, this is an architecturally stunning oceanfront property with 6 spacious bedrooms, a living/dining room, media room, and a beachside terrace cantilevered over the ocean. 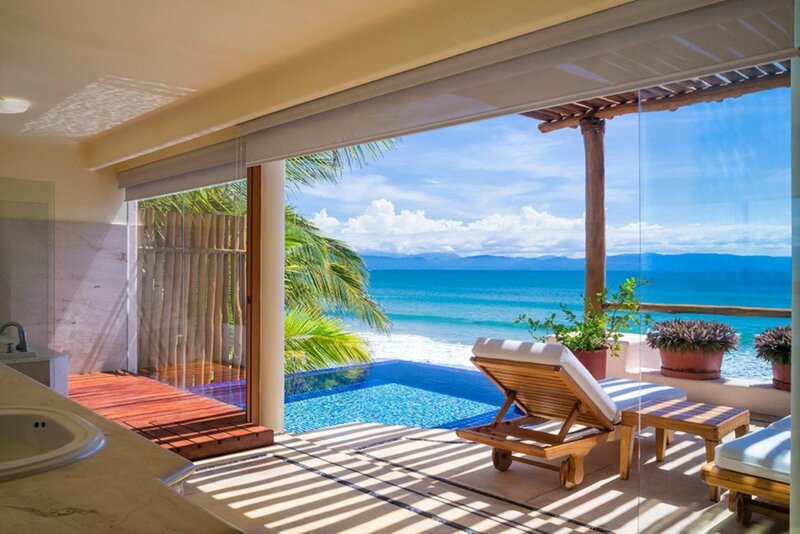 In addition to this oceanfront splendor is a dramatic entry. From the private parking area, a fabulous wooden walkway welcomes you as you descend to the house through a manicured jungle. 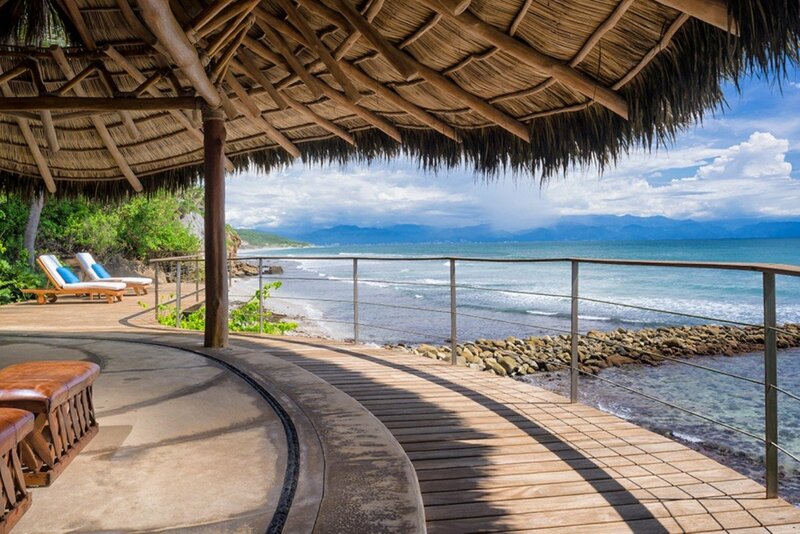 You hear the waves, feel the ocean breezes and then glimpse the oceanfront splendor through giant archway over a coy pond. 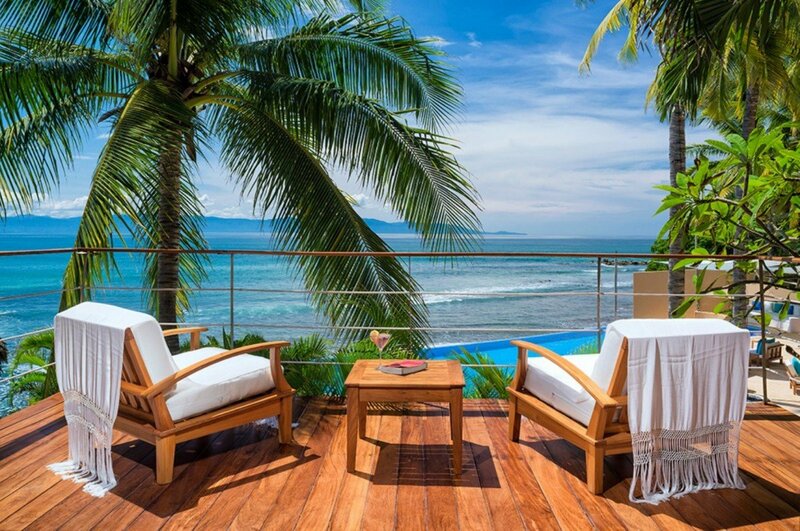 The outdoor area is bounded by a 75 foot infinity pool extending the width of your ocean view. In front are the waves and distant, ever changing mountain landscape across the bay with gulls and pelicans in the morning, the glow of sunset at dusk and starry night skies. Next to the pool is a lounging area and an outdoor dining/lunch table with an authentic Italian pizza oven. 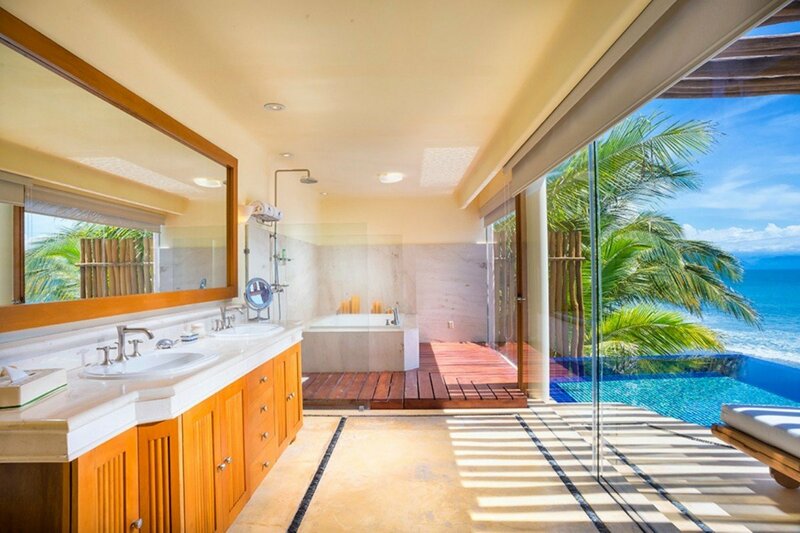 There is also a Jacuzzi. 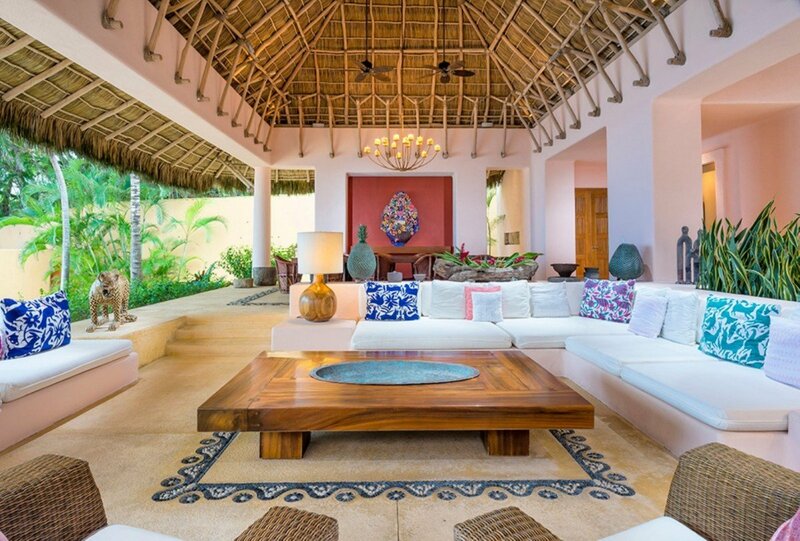 The design and decor of Estate Alamo are Mexican inspired. 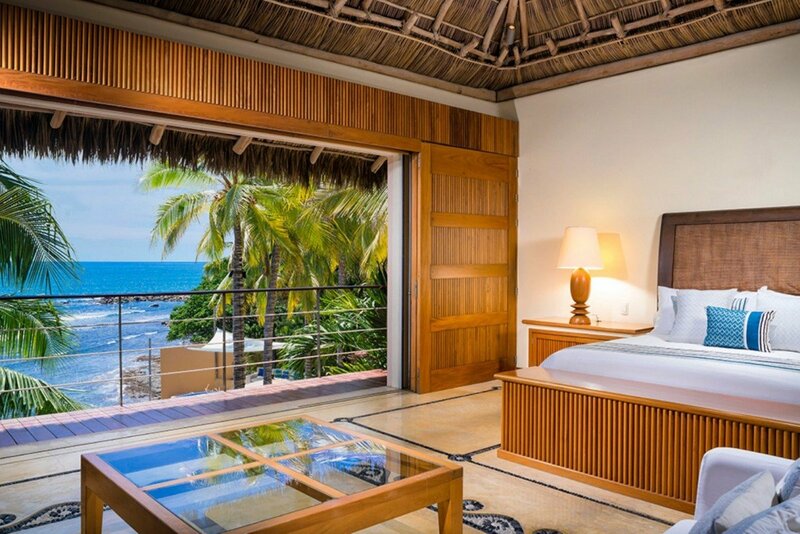 Each bedroom takes the name of a famous Mexican place and is dressed with its unique regional charm. 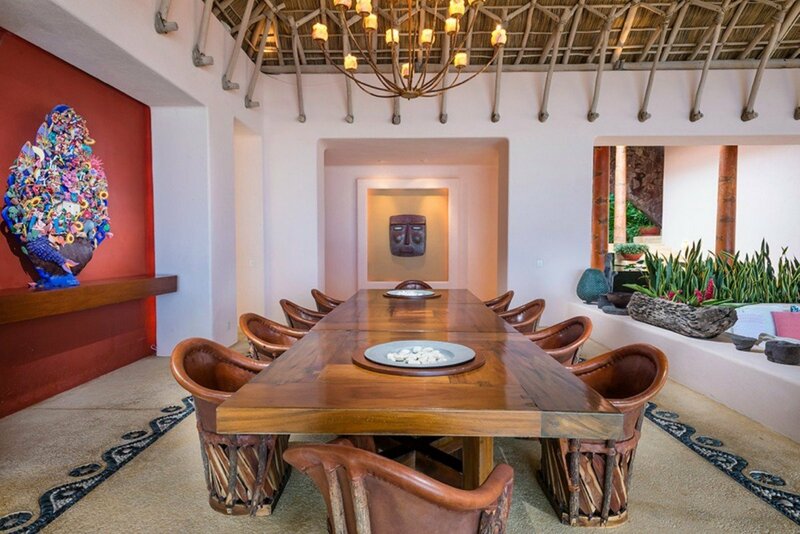 The public areas of the house have carefully curated, original Mexican artisanal crafts. 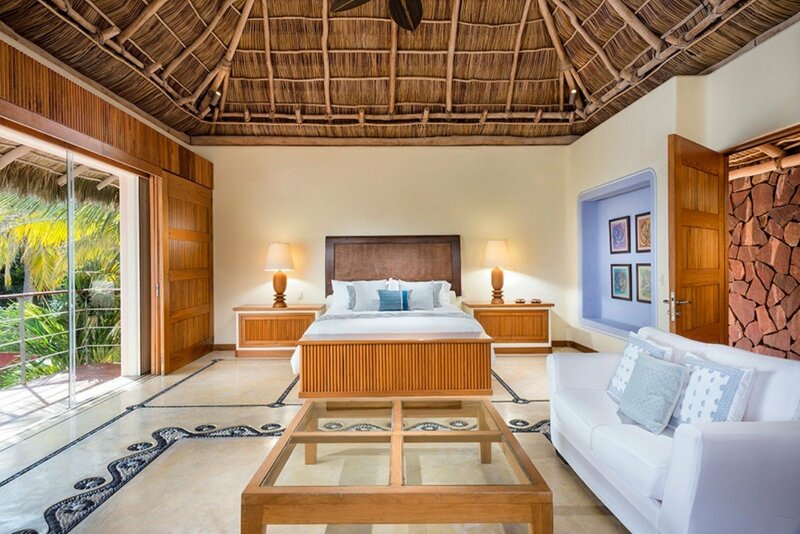 Bedroom 1 - TLAQUEPAQUE: Master bedroom with a king-size bed, A/C, ceiling fans, TV, private terrace with plunge pool, 180 degree of ocean view and en-suite bathroom with bathtub, shower, double vanity and WC. 2 guests maximum. 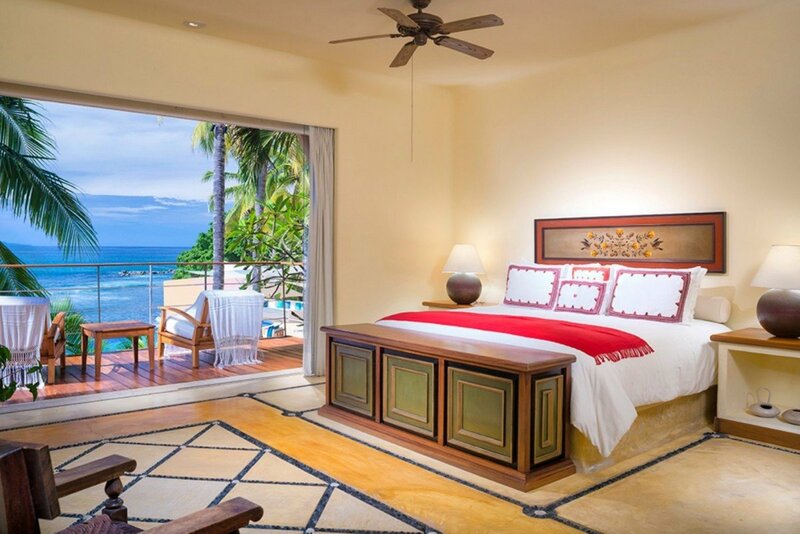 Bedroom 2 - COMALA: Bedroom with a king-size bed, A/C, TV, private terrace with ocean view and en-suite bathroom with bathtub, shower, vanity and WC. 2 guests maximum. 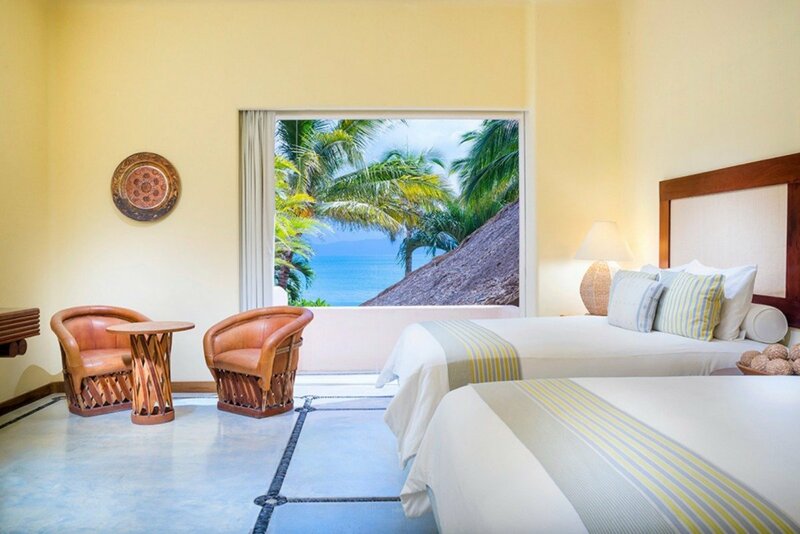 Bedroom 3 - NAYARIT: Bedroom with two double beds, A/C, TV, private terrace with ocean view and en-suite bathroom with shower, vanity and WC. 2 guests maximum. Bedroom 4 - TZIN TZUN TZAN: Bedroom with two double beds, A/C, TV, private terrace with ocean view and en-suite bathroom with shower, vanity and WC. 2 guests maximum. Bedroom 5 - OAXACA : Bedroom with two double beds, A/C, TV, private terrace with ocean view and en-suite bathroom with two showers, vanity and WC. 2 guests maximum. Bedroom 6 - CHIAPAS : Bedroom with two double beds, A/C, TV, garden view and en-suite bathroom with shower, vanity and WC. 2 guests maximum. 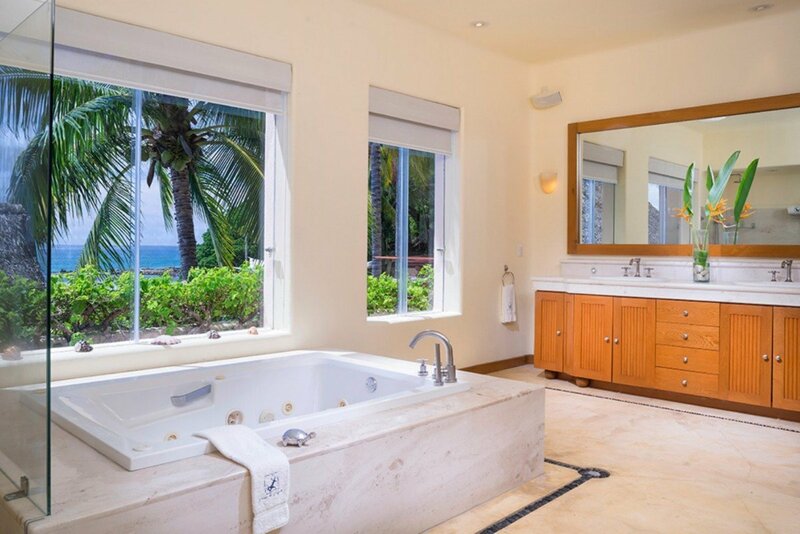 Golf & Spa access available at St Regis or Four Seasons with prior reservation. Note: The rates above are subject to 26% Tax/Service Charge.